Lead Nanoparticle Dispersions are suspensions of lead nanoparticles in water or various organic solvents such as ethanol or mineral oil. American Elements manufactures metallic nanopowders and nanoparticles with typical particle sizes ranging from 10 to 200nm and in coated and surface functionalized forms. Our nanodispersion and nanofluid experts can provide technical guidance for selecting the most appropriate particle size, solvent, and coating material for a given application. We can also produce custom nanomaterials tailored to the specific requirements of our customers upon request. See more Lead products. Lead (atomic symbol: Pb, atomic number: 82) is a Block P, Group 14, Period 6 element with an atomic radius of 207.2. The number of electrons in each of Lead's shells is [2, 8, 18, 32, 18, 4] and its electron configuration is [Xe] 4f14 5d10 6s2 6p2. The lead atom has a radius of 175 pm and a Van der Waals radius of 202 pm. In its elemental form, lead has a metallic gray appearance. 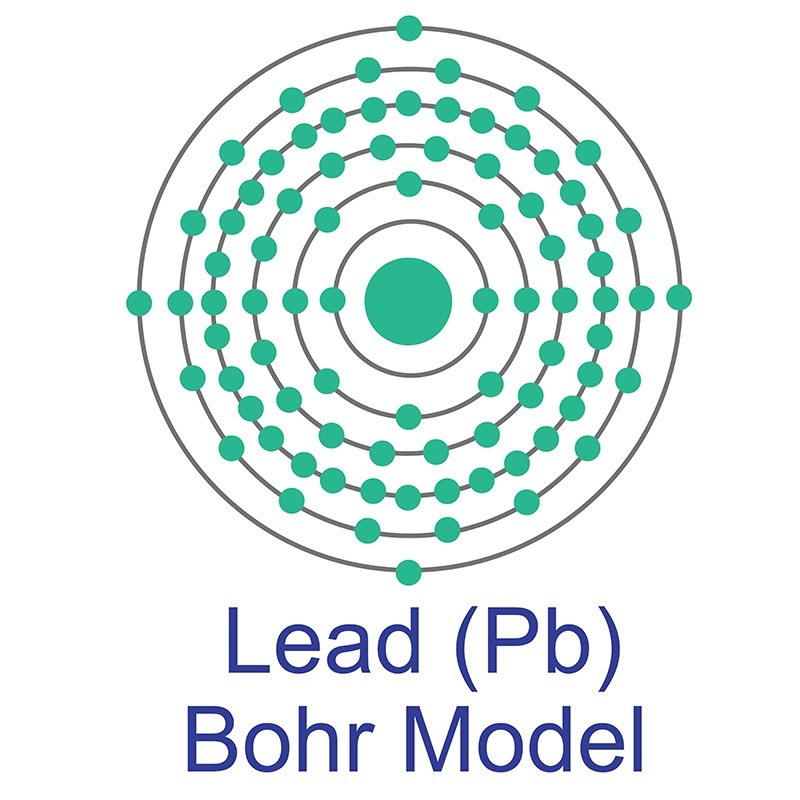 Lead occurs naturally as a mixture of four stable isotopes: 204Pb (1.48%), 206Pb (23.6%), 207Pb (22.6%), and 208Pb (52.3%). Lead is obtained mainly from galena (PbS) by a roasting process. Anglesite, cerussite, and minim are other common lead containing minerals. Lead does occur as a free element in nature, but it is rare. It is a dense, soft metal that is very resistant to corrosion and poorly conductive compared to other metals. Its density and low melting point make it useful in applications such as electrolysis and industrial materials. Few-nanometer-sized α-CsPbI3 Quantum Dots Enabled by Strontium Substitution and Iodide Passivation for Efficient Red Light Emitting Diodes. Flexible Porous Polydimethylsiloxane/Lead Zirconate Titanate-Based Nanogenerator Enabled by the Dual Effect of Ferroelectricity and Piezoelectricity. Novel route for amine grafting to chitosan electrospun nanofibers membrane for the removal of copper and lead ions from aqueous medium. Follicle-stimulating hormone peptide-conjugated nanoparticles for targeted shRNA delivery lead to effective gro-α silencing and antitumor activity against ovarian cancer. Mn-Doped Cesium Lead Chloride Perovskite Nanocrystals: Demonstration of Oxygen Sensing Capability Based on Luminescent Dopants and Host-Dopant Energy Transfer. Biexciton Generation and Dissociation Dynamics in Formamidinium- and Chloride-Doped Cesium Lead Iodide Perovskite Nanocrystals. Applications of UV/Vis Spectroscopy in Characterization and Catalytic Activity of Noble Metal Nanoparticles Fabricated in Responsive Polymer Microgels: A Review. Tungsten carbide electrocatalysts prepared from metallic tungsten nanoparticles for efficient hydrogen evolution. Determination of halides using Ag nanoparticles-modified disposable electrodes. A first approach to a wearable sensor for quantification of chloride ions. Transformation-Dissolution Reactions Partially Explain Adverse Effects of Metallic Silver Nanoparticles to Soil Nitrification in Different Soils.